About Blog - Launched in June of 2006, Branding Strategy Insider serves a wide range of marketing oriented leaders & professionals. We focus on delivering meaningful, thought provoking content that promotes an elevated conversation on the discipline of branding & fosters community among marketers. BSI is a service of The Blake Project, a brand consultancy serving brands around the world. About Blog - The World Branding Forum (WBF) is a registered global non-profit organisation which aims to advance standards in the branding industry for the good of the industry as well as consumers. The WBF publishes daily industry news on its blog. It is also the organiser of the World Branding Awards. About Blog - brandchannel is dedicated to providing the world's leading online exchange about branding. Provoking a dialogue on brands, our free resources include original articles, a continuous news blog and weekly debates, industry expert white papers and global listings of jobs and conferences for branding professionals. About Blog - The Personal Branding Blog offers career, workplace, networking, management, entrepreneurship advice and resources from Dan Schawbel and his team of experts. About Blog - Logo, brand identity, packaging and graphic design blog, daily design inspiration, reviews, news and opinion from Richard Baird. About Blog - Motto is a branding agency that crafts brands for entrepreneurs and companies. Brand strategy, brand identity, packaging & websites for clients worldwide. Browse Motto's latest business, leadership and branding articles. About Blog - The Brandfolder blog covers the latest in digital asset management, branding, and design. Brandfolder is the most user-friendly tool for brands to manage & share their digital assets. About Blog - Our thoughts on logo design, small business, marketing, and especially good branding, for entrepreneurs, designers, and anyone with an idea. Tailor Brands provides quick and easy logo design and branding. About Blog - Translating Penetrating Insights Into Effective Strategies. Outperforming leaders obsess about their customers. We ensure you know more about your customers than anyone else. About Blog - At Siegel Gale, we help organizations identify and express the simple truths of who they are—creating strategies, stories and experiences across all channels that stimulate the senses, engage the emotions and help organizations realize their full potential. About Blog - Sticky Branding's Blog. Get the latest ideas on branding, marketing, and sales. Sticky Branding is a strategic brand consultancy. We help mid-market companies stand out, attract customers and grow sticky brands. We provide you the expertise, ideas, tools and resources to drive your sales and grow your company into a sticky brand. About Blog - ttract your ideal clients online with Kaye Putnam, Psychology-driven Brand Strategist. Learn about brand archetypes, brand strategy, brand identity, online marketing, and more. About Blog - At Nice Branding Agency, we build brands that demand attention and cannot be ignored. Now serving the greater Tampa Bay, FL and Nashville, TN areas. About Blog - HALO Branded Solutions, the country's leading promotional products resource, has helped clients enhance their brand & grow their businesses for 60 years. About Blog - We create content marketing campaigns, helping brands communicate with cartoons. About Blog - Labbrand works to build and strengthen brands through culturally relevant actions. To achieve brand innovations, Labbrand coordinates research, strategic decisions, and creative implementation. About Blog - Universum conducts and analyses research among students and young professionals to provide you with fresh global and national insights for employer branding. About Blog - Brand engagement agency in Melbourne providing brand strategy, design and communications to create truer, deeper and richer brand relationships. Working with clients in Australia, New Zealand and across Asia Pacific. About Blog - Tips to become more hirable, strengthen your personal brand and build a remarkable web presence. BrandYourself is a platform that helps you put your best foot forward online, including free Do-It-Yourself tools as well as custom services. About Blog - Presence Expert. Speaker, Author of 4 books. Personal Brand, Presentations & LinkedIn working with Industry Experts. Telstra Business Women Award Nominee 2016. About Blog - See what Sabu Paul think about advertising and marketing and his insights on branding. About Blog - Read blog posts on brand loyalty, loyalty solutions, loyalty technology & more from Bond Brand Loyalty thought leaders. About Blog - In a world of algorithms, artificial intelligence and word of mouth, companies and organisations have no other choice than perfection. So Enigma gathered a team of strategists, designers, branding specialists, business model experts or service designers. We help our clients become great at what they do. Or become even greater. About Blog - Branding For The People, the branding authority for small businesses. The leading branding agency for emerging and expanding entrepreneurs, small businesses and corporations with offices in San Diego and New York City. About Blog - We First is a brand leadership firm that provides strategic consulting and training to transform companies into purposeful social brands. By ensuring companies tell the story of the good work do internally and externally, we position brands for rapid growth, social impact and cultural leadership. About Blog - Thoughts and insights on name branding. Since 1982, Lexicon Branding has created some of the world’s most successful brand names, including P&G’s Swiffer, Intel’s Pentium and Xeon chipsets, BlackBerry, Coca-Cola’s Dasani, Toyota’s Scion, General Motors’ OnStar, Apple’s PowerBook, and Subaru’s Outback. About Blog - Sweet clarity. Sticky marketing. We are a driven team creating meaningful results. Our systematic approach to branding and marketing gives you needed focus, confidence, and accelerated growth. We're here to provide more than just pancakes. Our passion is creating a culture that impacts culture. About Blog - Higher education, nonprofit and business branding, logo design, website, video, photography and copy. We're not your typical branding agency. And that's ok.
About Blog - Atomicdust helps businesses focus and maintain their brand through design, marketing, and the web. Atomicdust is a branding, interactive and marketing agency in St. Louis, MO offering expertise in brand strategy, social media, print and web design. About Blog - Branding wisdom, design philosophy, and marketing advice from the team at Proof Branding. Proof is a branding and design agency located in Nashville, Tennessee with services including brand strategy, design, development, and marketing. About Blog - We believe marketing no longer needs to be noisy or interruptive. The most effective marketing gives back and inspires. We are an integrated marketing agency in Vancouver. With a variety of services, we help brands find their voice and lead a tribe of ambassadors who share the same values. About Blog - Hey! I'm Emmelie De La Cruz, a personal branding strategist and business auditor, best known for my ability to help millennials gain clarity around their personal brands to collect purposeful paychecks and figure out how to organize and prioritize their business. About Blog - Working to improve your credibility in the online world. How Kredible are you? About Blog - You’ve landed on Brand Beat. A culmination of ever-changing: Ideas Insights, News Notables , Trends Technology. RNO1 is a brand and digital agency deep-rooted on the west coast, with a global edge. We're WEST COAST BRANDMAKERS. About Blog - Girvin's practice focuses on storytelling in brand development -- building community relationships through refreshed, newly aligned communication design and messaging. About Blog - Run by William Arruda - I launched this Blog with one objective - to provide unique insights and practical advice for using the power of personal branding to achieve your goals. It’s dedicated to those who want to be wildly successful by maximizing what makes them unique, relevant and compelling. About Blog - A branding blog of practical advice, ideas and examples. In the Brand Insight Blog John Furgurson offers deep, insightful articles you can use to launch a new brand, improve your existing business, or educate yourself on the disciplines of branding, marketing and advertising. About Blog - The bandv team have been experts in marketing & branding for over 35 years. In our blogs we share the latest advice & tips from within the marketing world. About Blog - Mystery are an award-winning Brand Design Agency specialising in Brand Strategy, Food & Drinks Packaging and Hospitality Interior Design Concepts. Our aim is to produce outstanding brand design solutions that are innovative, practical and beautiful, that uniquely answers each brief and that the target audience falls in love with. That is all. About Blog - Brand identity and brand management blog focusing on the issues that affect startups, brought to you by Brandsworth - the affordable branding agency. About Blog - Designsite is an award-winning branding, website design and digital marketing agency, based in Fairfield CT.
About Blog - RUSSO is a strategic branding and communications firm with offices in Lafayette, New Orleans, Nashville. Here, we use consumer insight to develop branding and marketing initiatives that effectively change the conversation – forming emotional connections between brands and consumers. About Blog - Have a read about what we do, our Branding tips and advice and things that excite and interest us. The Pudding is a full service branding agency, specialising in Strategy and Design. We believe in the power of excellent branding, if you build a strong brand you will see it in your sales and your bottom line figures. About Blog - Altitude Branding is home to a collection of experts with years of experience with improving branding for businesses big and small. About Blog - Legacy Loft's blog is full of the best resources for information on graphic design, branding advice, business tips, and other posts helpful for entrepreneurs and small businesses. We discuss your brand key words, color palettes, mood boards, logo design and ideal client niche. See before and after branding designs for boss girls and ladypreneurs. About Blog - Brand chemistry is a B2B inbound marketing agency in Sydney specialising in content, brand, lead generation and digital strategy to achieve your business goals. We help brands engage, acquire and retain customers, by creating deep, human connections that move customers along their buying journey. About Blog - The mission of BRAND MY MESSAGE is to help you get information to your customers! It's all about You, Your Brand, and Your Customers! We put your company into your email, so that you stand out from the crowd! About Blog - We are a brand-led, creative agency providing the perfect balance between strategy, creativity and delivery. We create powerful brands for ambitious businesses. About Blog - JO Social Branding, a digital marketing service business. We educate professionals on the best ways to use digital marketing, visual marketing, social media, email & content marketing for their business. Run by Jeannine O'Neil. About Blog - A boutique design agency for ambitious startups & established businesses looking for a personal and flexible approach. We use an emotionally-intelligent approach that gets right to the heart of your brand. About Blog - Kommando is an experiential marketing and brand experience agency based in Glasgow & London. We are experts in experiential marketing, guerrilla marketing, ambient advertising and live marketing. About Blog - Branding, tone of voice, naming and training (without the blah). Fed up with brand and tone of voice guidelines sounding the same? Us too. We're a London agency making branding better - with words. About Blog - TCreativeTCreative, Inc. is a full-service advertising agency that specializes in brand development, digital and web design, graphic design, and on-site printing. Over the past 15 years we have embraced the new and unexpected, and are always striving to help our clients improve their businesses. About Blog - BrandTuitive is a branding agency in NYC focused on results. As branding experts, we develop smart strategy and effective creative design that stand out from other branding agencies NYC. About Blog - Mark Di Somma's Upheavals Blog offers commentary on brands and brand strategies in a shifting and social world. Mark Di Somma helps brands find exciting and creative ways to shift brand awareness, increase value, build brand culture and cement brand loyalty. About Blog - Our news, information, thoughts and insights from the world of brand, digital and marketing communications. Studio North is a brand agency based in Manchester UK specialising in branding, marketing and digital. About Blog - A 4-Time Emmy Award Winning Director, Producer and Filmmaker, Nick Nanton, Esq., is known as the Top Agent to Celebrity Experts® around the world for his role in developing and marketing business and professional experts, through personal branding, media, marketing and PR. About Blog - Schifino Lee is a full service Advertising & Branding agency based in Tampa, Florida dedicated to creating fresh ideas whether it be digital media or traditional advertising. Our work has depth and theory as well as clean aesthetics and presentation. About Blog - We are a brand communications company that tells true stories about brands. About Blog - This blog provides practical information on brand research, strategy and positioning. It also covers brand equity measurement, brand architecture, brand extension and other brand management and marketing topics. About Blog - We are a group of down-to-earth people who specialize in Brand Management, Identity Design, and Website Design. About Blog - BB&P is a boutique, Cayman-based, brand and interactive agency serving brands internationally and specialising in the Caribbean region. About Blog - Title is a creative design and brand communications agency, offering a fully integrated approach across the whole marketing mix. Our approach is simple: we blend our creative spirit and strategic thought to deliver projects with flair, clarity and purpose. About Blog - Brand Salsa is a branding blog mixed by Addison Whitney. Everything we do is based on a strategic and engaging process that will help you create, renew, and/or strengthen your brand(s). Our goal is to be a place to find the latest and greatest from around the industry, and hopefully entertain our audience with thought-provoking and enjoyable content. About Blog - IridiumGroup is a branding agency delivering strategic planning, messaging, brand development, and integrated creative solutions. IridiumGroup advocates an open forum of shared news, ideas, trends, and contemporary practices among our community of client managers and peer agency professionals. About Blog - Randall Branding Agency is a branding & advertising agency in Richmond, Virginia. We're great at advertising, brand development, graphic and website design. a fresh aesthetic to give it flight. About Blog - Spyglass Brand Marketing is a strategic brand marketing agency in Minneapolis Minnesota that helps local and national businesses achieve big results through big ideas. About Blog - Where HR and Marketing meet. Helping companies build a strong employment brand to engage & attract top talent. i-legions.com, which builds revenue-generating Branded Communities (R) for major brands. About Blog - As India's No.1 Branding Agency, DY Works builds brands rooted in culture. Mission is to be a category creator in the Brand Solutions space that is solution forward rather than capability bound. About Blog - All Things Brand explores the design, development, and meaning of brands, with a special focus on brand standards and branding best practices. The idea started in 2007 as Dannielle Blumenthal’s best practices blog and expanded in 2015 into a brand training and best practices portal offering training webinars for marketers, entrepreneurs, and brand experts seeking to refresh or expand their skills. About Blog - Small business marketing, branding & social media tips. McLellan Marketing Group is a boutique marketing agency. We’ve been around for almost 16 years and we help our clients create love affairs with their customers. Marketing, branding, social media or a good blend of all three — we’re here to help. About Blog - An award-winning, fully integrated marketing communications (IMC) firm in Pittsburgh. We do market research, branding design, website design and strategy. We help trailblazers understand their ideal customers, build compelling brands and master the art of communication. About Blog - Branding, Marketing, Strategy, Design and Business tips will be discussed on this blog. BRANDWISE is a brand-strategy firm using marketing and design to grow your business. BRANDWISE solutions build brand awareness and increase sales. About Blog - Branding Agency - News, Thoughts, Acts. Litmus is the leading branding and advertising agency in India provides services including brand identity design, corporate branding, brand development, search engine optimization and more. Litmus is an Ahmedabad-based, strategic brand communication consultancy, with over a decade’s experience in the business. About Blog - PersonalBranding.TV uses the most effective personal branding medium on the web – video – to share tips, advice and success stories from the world’s leading personal branding experts. We seek to entertain, engage, educate and inspire you; and, most importantly, we want you to take action so you can expand your success thanks to the power of personal branding! About Blog - ST8MNT is an experiential design and brand development agency in Nashville, Tennessee. We create the extraordinary experiences and visual appeal necessary for consumer, entertainment, tech and corporate brands to spark resonance and move consumers to action. We create work that is physical, digital, and everything in-between. About Blog - Your source for branding in colorado. dfine Branding is a cohesive family of talents dedicated to developing, designing and implementing the full branding experience, including positioning, design, in-house print, web development, merchandising, communications and more. About Blog - Find out breaking news for Celebrity Branding Agency represents Entrepreneurs, Executives and Celebrity Experts, exclusively, to maximize exposure and income, today, while custom tailoring a success plan for growth and opportunity, tomorrow. About Blog - whyletz™ Branding Pvt Ltd is a strategic branding agency & designing studio based at Cochin, India. We build awesome brands people love. From identity design to marketing materials, we help brands logo design, brand communication designs, design for print, digital designs, web design, online branding, social media consultancy, print Ads till TV Commercials. About Blog - From established industry heavyweights to start ups and nonprofits, we help brands of any shape and size achieve success. We combine decades of experience with award-winning talent to build solid brand foundations and create captivating marketing materials. About Blog - Blog by Karen Post - International branding expert, published author, entrepreneur. She has authored two books, her latest book is Brand Turnaround: How Brands Gone Bad Returned to Glory . . . and the 7 Game Changers that Made the Difference (McGraw-Hill). Her first book Brain Tattoos: Creating Unique Brands That Stick in Your Customers' Minds (AMACOM). About Blog - Defined Branding was established as an independent design boutique and consultancy offering clients valuable professional insight and branding experience. About Blog - A branding agency evolved for the digital age. Darwin would approve. Strategy, naming, renaming, marketing, social media, SEO, automation, advertising. About Blog - Branding for businesses that wanna get lucky. Fuze Branding is a boutique branding collective specializing in killer design for small businesses. The Fuze Team, a creative powerhouse of design and marketing experts, works hard to craft visual identity, websites, content, and social media that will “infuze” your brand with more energy than a lightning strike. 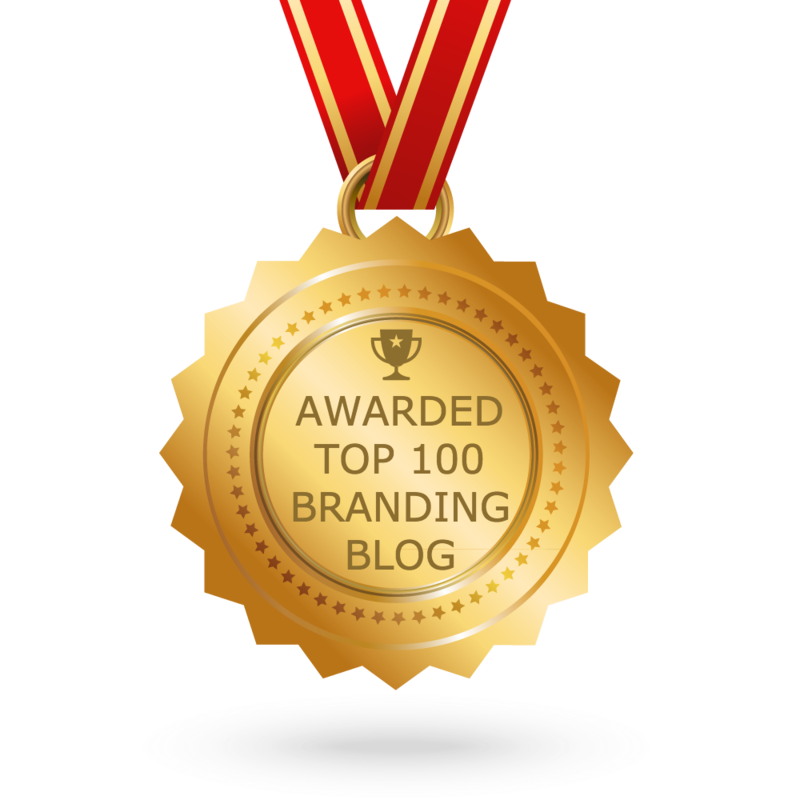 CONGRATULATIONS to every blogger that has made this Top Branding blogs list! This is the most comprehensive list of best Branding blogs on the internet and I’m honoured to have you as part of this! I personally give you a high-five and want to thank you for your contribution to this world. Awkward Media is the best company for seo and web development because i personally hire them for working. And share my feelings with you. Consider adding August Communication- top ad agency in Gurgaon in the list. They do share lots of useful and creative branding blogs to the community.